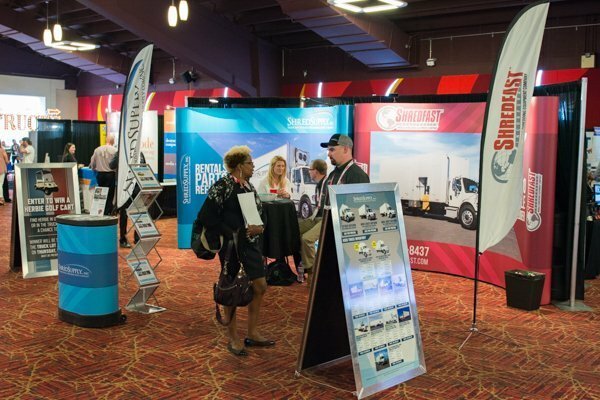 We always look forward to getting to see some of the great people from the Industry at the NAID Conference and Expo. This year in Nashville will be no different. We are bringing a staff of sales reps, parts reps, and service reps to answer any questions you might have about our company. Check out our show guide below to see where you can find us and what we have in store. 1. GET INTERACTIVE – We’ll have iPad kiosks at our booth for you to be able to see high-quality photos and video demonstrations of all our products and services. You’ll also get an in-depth look at vehicle specifications and features for our entire line of products. 2. GET HANDS-ON – We’re bringing a Refurbished Shred-Tech MDS-35GT on a 2019 Freightliner M2 to the expo. A lot of work has been put into this truck and you won’t want to miss the transformation. You’ll also get a chance to see a video display on how we refurbished this old used shredding truck into the like-new condition it is in. 3. SEE THE MOST ADVANCED ENGINE TECHNOLOGY – Our Refurbished Shredding Truck will be on a 2019 Freightliner M2 with a Detroit DD8 Engine. This engine is the latest addition to Detroit’s new lineup of medium-duty engines. It provides the versatility and efficiency you demand for a mobile shredding vehicle. Get a first-hand look at this engine and speak with a Freightliner representative about the newest cab and chassis technology at our exhibit. 4. GET FREE GEAR – Who doesn’t like free gear? 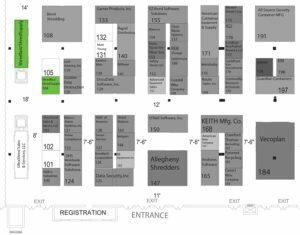 We’ll have plenty of ShredSupply giveaways at our booth. Come see us to pick some up for yourself or to bring some back to your friends and family. It would be a shame if you left empty-handed. 5. SPEAK TO A REPRESENTATIVE – If you’re curious about any one of our products or services, we’ll have representatives that would be more than happy to answer your questions. Our staff will include parts reps, service reps, and sales reps to make sure you get the information you need.